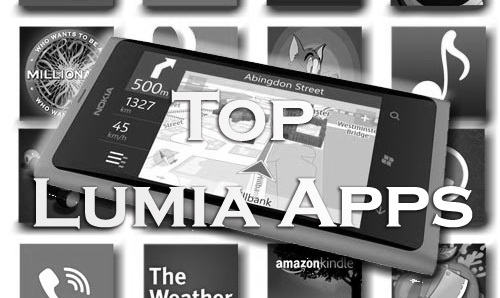 If you are looking for the best Nokia Lumia free apps and free games for Nokia Lumiam you are in the right place. First, I will propose a list with the best games for Lumia 800. The games are in no particular order, but you have to admit that they are really cool. In order to download them, just visit the official Lumia marketplace, and see more information on them. It's not that hard to download free Lumia apps, but a question rise every time you enter the Nokia Store. What free Nokia Lumia Apps to Download? There are so many options, so many good reviews, so many bad reviews, so many useless applications. Why waste your time when you can go for the best apps and forget everything else? This is straight from Nokia Conversation, so you know it's official. They asked folks on their Facebook profile to reply with their favorite Nokia Lumia app. Well, the word of everybody's lips is the new phone from Nokia, the Lumia 920. Which is better? Well, it's really hard to decide, but as much as I love the Lumia 920, I have to admit that iPhone has more free apps that you can download from Apple Store. This does not mean that there are no Free apps for Nokia Lumia 920, because there are. I am going to present more facts about this cool phone, maybe some cool ones like durability videos, cool apps, strange apps. In the meantime, you should watch this video test comparison between Lumia 920 and the new iPhone 5. These days, more and more people are complaining about Nokia problems, and I do believe the company is going through hard time. 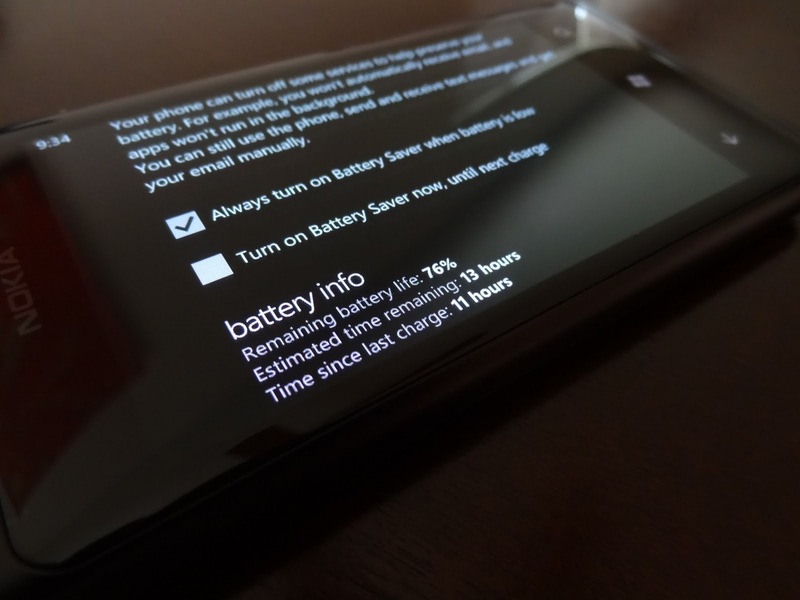 A lot of Nokia 800 users are complaining about the battery life. I've looked into the problem and it seems that the hardware part is ok, and there is a software issue you need to address. Nokia released a statement a year ago about these problems, and they are fixed with the software update. In order to verify if you have the problem in the first place, you need to enter Nokia Diagnostic Tool and check the battery status from there. You should look for the number that indicate "Full Charge Capacity". If that's number indicates less than 1000mA, then you have the problem and you should probably look for a firmware update for your phone. If the problem is still there after the firmware update, you should send it to Nokia, and they will fix it for you. If your Nokia Lumia 800 start to act crazy, you can always try the easiest fix: restart it. If the problems seems to be permanent, you can use a hidden diagnostic tool that allows you test some of the hardware and software functions of the smartphone. Of course, this Lumia 800 diagnostic tool will not replace the authorized service repair, but it will give you an idea on the problem, so you can point it out to the folks at service. In order to acess Lumia diagnostic tool, press ##634# in the dealer, and the tool will start. It will also be available in the application list. Remember, this is only available in Nokia Windows Phones, it will not work on other Windows smartphones like Samsung or HTC. Of course, if your N900 has problems with the display or the battery, you should just send it to warranty. If you're out of warranty, you should not try to repair it by itself. I've tried this with one of my smartphone, and I messed it really bad. So, you should go with a professional service. Even if Windows Phone 7.5 is a stable operating system, sometimes you can experience OS crash or OS freeze. We all know that Lumia 800 and Lumia 900 have battery that can not be removed, in order to reset it you must use a combination of keys. In order to reset your Lumia 800, you must press the volume up, volume down and power keys for about 5 seconds. After that, phone will reset. If you want to reset your Lumia 900, you must press the following keys for 5 seconds: volume up, volume down, camera and power. If this fails, both Nokia phones have another method: press power button for about 10 seconds.